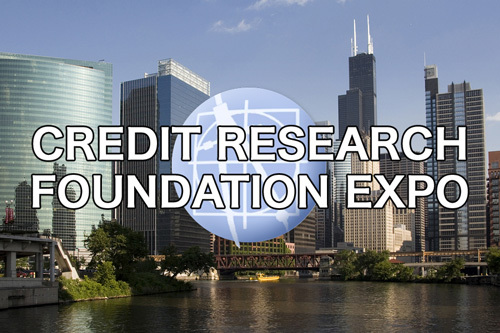 Will you be attending the Credit Research Foundation (CRF) Expo Monday, Aug. 8, through Wednesday, Aug. 10, in Chicago? Jack Tootill and Tom Claybaugh will be at the Mountain States Commercial Credit Management (MSCCM) booth, ready to discuss all things credit! Keep up to date on industry trends, prepare for what may be coming your way in the future, and keep those client relationships strong with MSCCM. We enjoy making connections with our friends in the industry, so we would love for you to stop by and say hello! Want a little more time to chat? Set up a time with us to discuss your credit management needs by emailing us at info@msccm.com. This entry was posted on Friday, August 5th, 2016 at 12:29 pm	and is filed under Blog Posts. You can follow any responses to this entry through the RSS 2.0 feed. Both comments and pings are currently closed.